Money is the most important factor in our life where people care about how to spend it in correct purpose. For the monetary budget of New Zealand's honeymoon, it is depending on how much spared fund you have on hand. I never ask you too spend 100% of your saving on this New Zealand trip, however, please don't keep your money in your pocket forever and try to spend it out to open your mind from travelling . To me, I am so POOR... so I would spend my any single cent be very worth of it. Initially, I set my budget limit as no more than NZ$4,160 and end up the actual traveling cost incurred for this 14days trips was less than my budget which was about NZ$4,000. Refer to below for the details was my initial monetary budget. To me, this was not a luxury monetary budget and I didn't said I would tortured my wife and myself during the trip. So, I still gave myself a freedom on spending some of the expenses, for example - Food and skydive. This was quite a high price I bought for the tickets as the cheaper budget direct flight from Malaysia to New Zealand was launched after 2 months I had back to Malaysia. The tickets I bought needed transition in Queensland, Australia, so was considered troublesome, wasting the flying time and costly. Based on the newly estimation after the budget airline launched, we could actually save about ZN$700 from the budget direct flight. 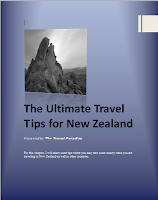 My advise is, try to buy the air ticket direct fly to New Zealand instead of having the transition in other countries as wasting our precious time. Refer to the Recommended in Red colour above, those are considered not bad to stay with. Especially the BBH in Oamaru, this is unquestionably good environment and with good facilities, however, which is about 3km far from city. For your info, the price is for a room for 2 person, it will be cheaper if you get a room share with more people. As the period I visited New Zealand was in Summer season, peak season, hence I had booked all the accommodations after I set up my Itinerary as I was worried I could not get any in rush. In order to save money, we did cook ourselves in BBH/YHA; we did have good dinners outside and we prepared sandwich for lunch as well. I will share with you the foods I had taken in New Zealand in my later article. Skydive is really expensive, but it was worth!!!! It was the most memorable moment of my life!!! If you have enough fund, please try!!! Except the ticket for Skydiving, I had booked the tickets for the rest in advance before I reach there. Some of the tickets are cheaper if online purchase. Not much souvenir I bought in New Zealand ...hahah...Christchurch has quite many of shops selling souvenir. Ace Car Rental was the one I rented the car for my 12 days in New Zealand. The reason I selected this company is due to I obtained some good comments from other forums on this company. To me, the service and the car quality is good, is reasonable and okay for recruiting their service, some more is cheap. 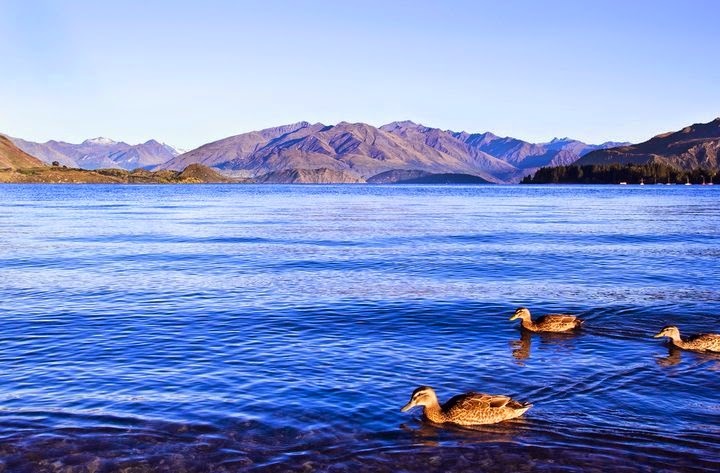 For GPS, honestly, it is not really necessary for traveling in New Zealand as the map and direction of New Zealand is very easy to familiarize. For Petrol consumption, is about NZ$0.20 per kilometer, travel around of south island is about 2400km for my trip. For you information, the rental will be much more higher in Summer than the other three seasons. Depend on yourself, but I would suggest to have one for our security. This was for the transition in Australia. I was staying in Australia for 1 night. Hi Pang, I'm also planning the same trip with my gf,except that we only have 10days!Leaving in winter next year by AA. Just ;like you to know that the info u provided are really fabulous! It's our first time enjoying snow,ha ha..terima kasih! Can I pm u if need more info? Do let me knw whr can I pm u?